We’ve reached the point now where almost all the world’s under-18s in the developed world don’t remember a time when the Internet wasn’t a major part of everyday life. Growing up with a direct connection to the whole world gives today’s children a view on the way the world works that is vastly different from the older generations. What can we learn from the ‘digital natives’? That’s one of the questions that research firm Latitude is looking to answer with its KIDS – Kids Innovation Discovery Series initiative. So, what are some of the key differences in the way that children play now compared to previous generations, and how has technology influenced these changes? So, what does this mean in practice? 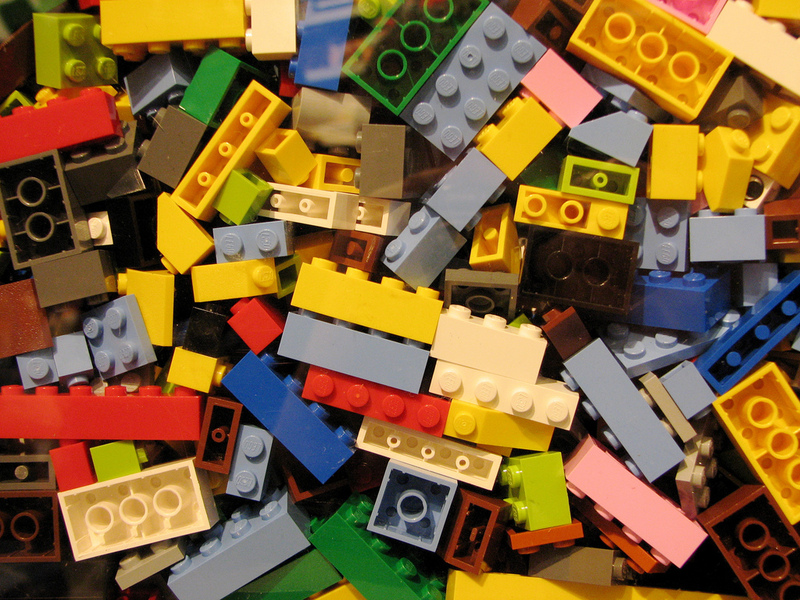 At the NEXT Kids Tech conference, hosted by LEGO in Billund, Denmark last week, Bo Stjerne Thomsen of the LEGO Learning Institute set out some of the ways that today’s children’s play is influenced by today’s digital landscape. These ways included embracing of Sharism, a concept based around the idea that “The more you give, the more you get. The more you share, the more you are shared.” Today’s children understand that intuitively. They’re also comfortable with shifting between multiple virtual identities via online games and virtual worlds. Meanwhile, ‘mixed reality’ environments like those you experience while playing with a Nintendo Wii or Xbox Kinect, are no novelty to today’s children – they’re just an obvious way to interact with technology. So, with their young eyes seeing today’s technology in a way that the rest of us will never be able to, what ideas do digital native children have for the future of technology? 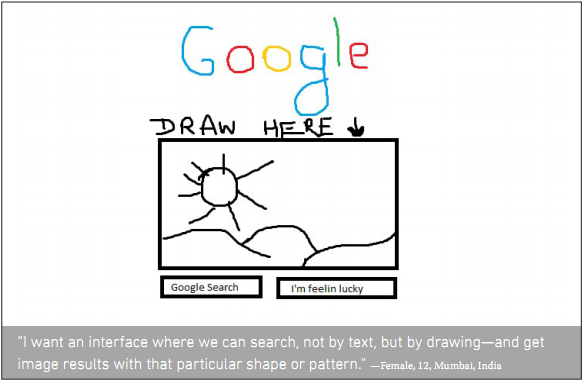 Latitude’s ‘Children’s Future Requests for Computers and the Internet’ study [PDF link] asked 201 young people aged 12 and under to draw a picture of something that they’d like their computers or the Internet to do differently. A strong trend in the pictures the children drew was a break down in the barrier between the physical and digital worlds, with children appearing to see no difference between ‘real’ and ‘computer-based’ activities. 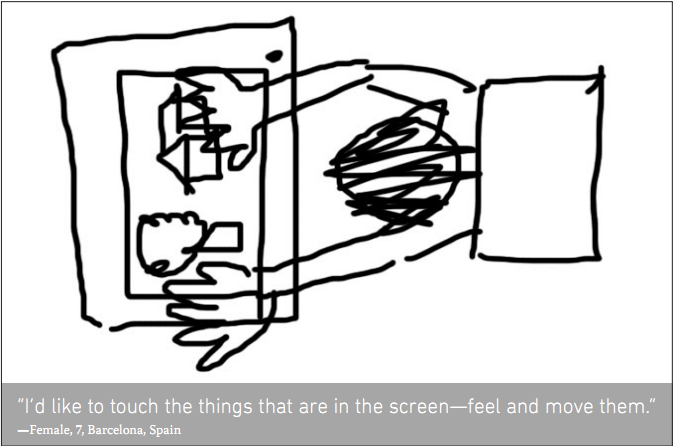 Immersive experiences of physical spaces, such as real or simulated travel; devices that assisted physical activities; more dynamic and human-level responsiveness (sometimes via human-like robots or virtual companions) were common themes in the drawings. This led Latitude to note that today’s children see technological devices as a natural extension of themselves. 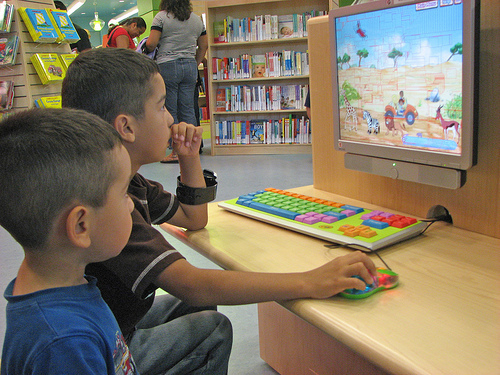 What can digital native children teach us? Sakaria gives examples of games which fit this mould. These include EVOKE, a social-networking game developed by the World Bank Institute, which empower players to come up with solutions to social issues and implements viable solutions. Recyclebank is a game which rewards users with coupons and discounts for small actions toward the larger green initiative. Meanwhile, Localocracy is an ‘online town common’ which connects citizens to government, providing an open forum for discussion with emphasis on transparency perspective, motivating civic engagement on and offline. Latitude plans to continue its research into children and technology. Current initiatives include Trash to Treasure, another illustration-based study which looks to kids for new ways to recycle and manage waste, and Robots @ School, a study that uses storytelling and illustration to explore how kids might like to interact with robots in a variety of situations related to school and learning. Perhaps more researchers, designers and developers working on new technology should listen to the ideas of children. Taking a fresh perspective that adults are unable to have, their ideas on interaction, and directions that games, gadgets and the Internet could take are invaluable. After all, the products being built now meant for the future, and children are that future.